Everead: Building your library: Board Books that are good for a group! Building your library: Board Books that are good for a group! So my mom and I were talking yesterday -- we're both sorting through books right now. First box of books is packed! Keep them safe, Anna and Elsa. My mom, on the other hand, is going through her own library and the library of the church nursery. She is now a teacher in the children's class for 1- 2- and 3-year-olds, and their story time selections need an overhaul. So she asked me to recommend some board books that were a) bigger b) had a little more story to them and c) could handle the harsh treatment of a childcare situation. Rocket Town by Bob Logan -- I've mentioned this book before and Ashley's family loves it, too. In fact, we've loved our copy to death, but we're not ready to let it go -- we've put it on life support. The story is pretty basic: rockets go up, they go down, they're big, small, fast and slow. But the connecting thread on all these pages is the man and his dog driving a pickup truck. And when they finally blast off? What a stellar ending. (Pun intended.) Haven't met a preschooler who didn't like this book. 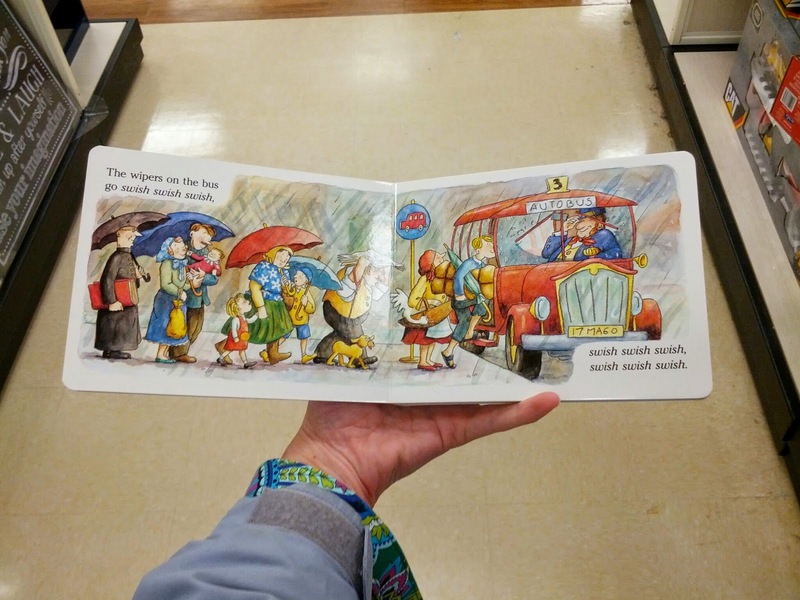 The double-page spreads make the pictures bigger, for when you're reading to a group, and the book size is larger than your typical Sandra Boynton. Speaking of Sandra Boynton, she's pretty much board book royalty. I highly recommend a copy of Barnyard Dance, even though it's not large, because I can see that leading to an excellent hoe-down. "Stomp your feet! Clap your hands! Everybody ready for a barnyard dance!" I always make a few fiddle noises there, as I turn the page. I Kissed the Baby by Mary Murphy -- This one, too, is typical board book size, but I just have to pull it in over here (I first featured it on my post Books to Give at Baby Showers). The bold, black on white illustrations are going to make seeing the pictures easy, even in a big group. And the sweet actions described in the book could lead to some excellent pretend play -- holding the baby, feeding the baby, tickling the baby, etc. This book is super sweet for a one-on-one read aloud, but I think it's going to hold up fantastically with a big crowd. Last but not least, I pick Little Blue Truck by Alice Schertle. I found this one at Home Goods just before Christmas. Though I've never read it to the kids, I was with my friend Nicole at the time, and she said it is the #1 favorite of her 3 year old right now. Even better, she said she doesn't mind reading it to him. Haha! I read it in the store and it's got a nice rhythm. I wish now that I had taken a picture of it in my hand (though at the time that would have been a very odd thing to do, since I wasn't planning this post) but it IS larger than usual. You can probably guess from the cover that Little Blue goes around collecting farm animals, and each makes his noise in turn. Share this post with all your friends who are in the market for board books. They'll thank you. *Count! by Denise Fleming, Where's Spot? by Eric Hill and Pat the Bunny , by Dorothy Kunhardt for instance. Great books. More board books I recommend, here! This was very helpful! I feel much more confident in making my purchases for the church nursery. I am really excited to read them with the kids, too! The board books my kids have loved most are Freight Train (the old Donald Crews classic) and another random one the pediatrician gave us after a visit that had big photos of real babies/toddlers. 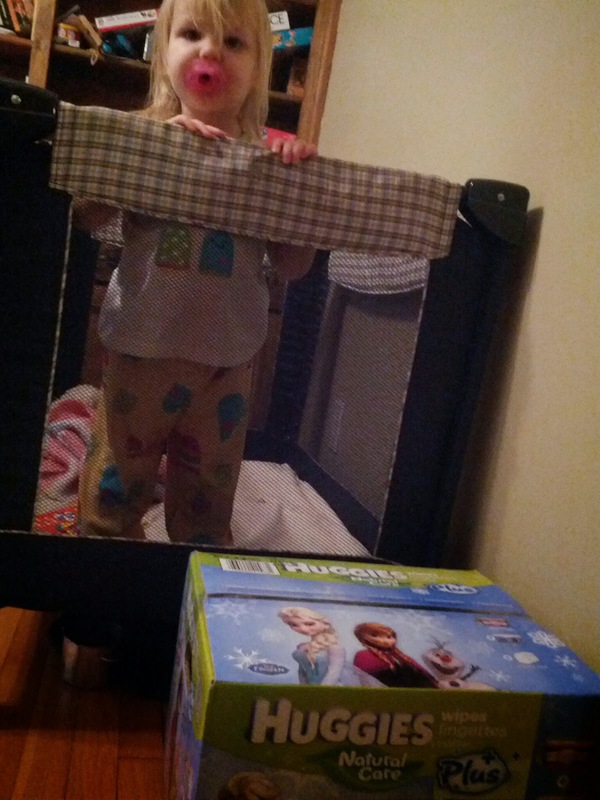 My daughter especially LOVED looking at pictures of real babies.